This is Entheogen. Elevate the Conversation. 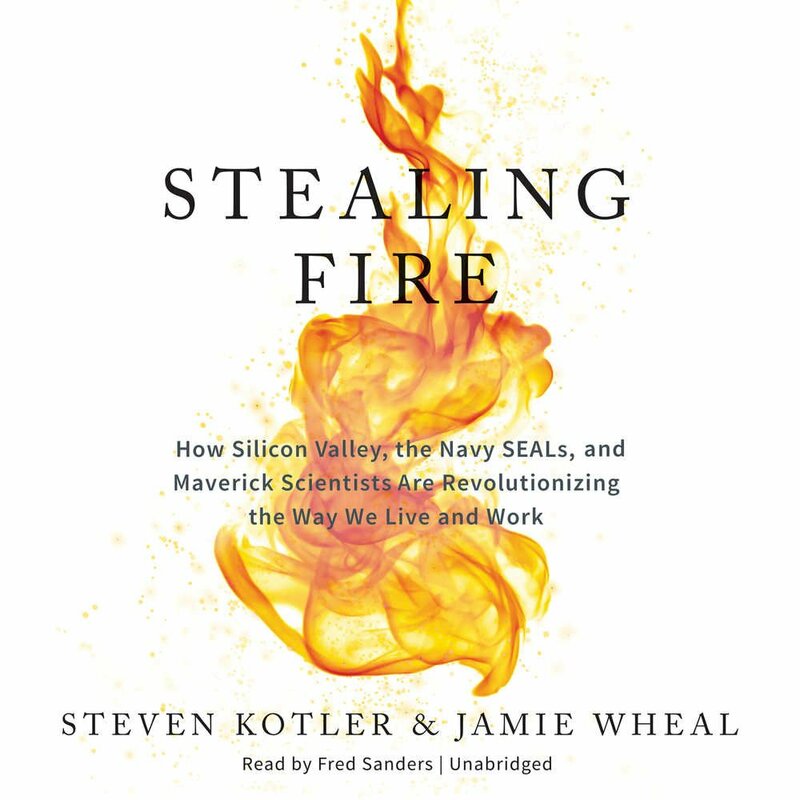 Today is November 5, 2017, and we are discussing Stealing Fire, a book by Steven Kotler & Jamie Wheal. Find the notes and links for this and other episodes at EntheogenShow.com. Support us on Patreon with a small monthly contribution to help keep the show going. Follow us @EntheogenShow on Twitter and like EntheogenShow on FaceBook. Thanks for listening. Chapter 1: What Is This Fire? Why does “fire” need to be stolen? Why does access to altered states need to be banned? The “state sanctioned triad” of mind altering substances: caffeine, nicotine, alcohol -- what makes these special? What ends does accepting these particular substances serve? Are humans already cyborgs? What is truly “unnatural” anyway? If humans are beings of nature, is anything that humans create also natural? Please support Entheogen by making a donation on Patreon. Become a Patron for as little as $1. Pledge just $3 or more, and get early access to new episodes, plus exclusive Patron-only features. Head over to EntheogenShow.com and click on Support. Find the notes and links for this and other episodes at EntheogenShow.com. Sign up to receive an email when we release a new episode. Follow us @EntheogenShow on Twitter and like EntheogenShow on FaceBook. Thanks for listening. It’s April 2, 2017, and we are talking with Dr. Rosalind Watts, Clinical Psychologist at Imperial College London, working alongside Dr. Robin Carhart-Harris. It’s March 12, 2017, and we are discussing psychedelic healing with Dr. Neal Goldsmith. Neal’s book Psychedelic Healing: The Promise of Entheogens for Psychotherapy and Spiritual Development provides copious discussion points for our conversation today. LSD is a tool: Charles Manson becomes more Charles Manson; Richard Alpert becomes Ram Dass. The substitution of the eucharist as a proxy for the original psychoactive sacrament. Can we please go back to the active version? What are the consequences of inactive substitutes in religious ceremonies? How have alternative spiritual practices sprung up in the absence of sanctioned Entheogenic rituals? Are we in the midst of McKenna’s Archaic Revival? Is this another way to internalize the unfolding ecological apocalypse? Deep breathing to expel carbon dioxide in addition to inhaling oxygen. McKenna’s conjecture that it’s possible to get to the same state of consciousness that psychedelics provide access to, using meditation or chanting or drumming, but who has time for that? What do you recommend to listeners who might be interested in some form of psychedelic therapy, present company included? The dichotomy of tribalism vs. modernism: our human ancestors living naturally but for shorter time, vs. modern humans living longer but disconnected from nature. Spiraling up vs. retreating to tribalism. It’s February 26, 2017, and we are reflecting on our conversation with Alex Grey, Allyson Grey, and Rick Doblin at Burning Man 2016. P.S. Neal Goldsmith interview coming up next! Sign up to be notified. It’s February 26, 2017, and we are checking in with Kirk Rutter, who joined us for Episode 025: Psychedelic Medicine Trials with Participant Kirk Rutter. T-shirts are finally here! Free shipping included. Our guests include Rick Doblin, Alex & Allyson Grey, Earth and Fire Erowid, Dr. Julie Holland, Robert Barnhart, Matteson Perry, and Carl A. P. Ruck. Entheogen is hosted by Joe, Kevin, and Brad. Get show notes by email when new episodes of Entheogen are released.